There's a running joke in the tech industry about new technologies: everything from internet fridges to flying cars is always five years away. But some predictions are more rooted in reality, and we're already seeing strong evidence of the technologies that will dominate the year ahead. Here are our picks of the technologies to watch in 2016. HD displays are so 2015. In 2016 the hype is going to centre around 4K screens, not just in your living room and on streaming services but in your pocket too. Sony was first off the starting blocks with its 4K Xperia Z5 Premium, and other phone firms are expected to follow suit. 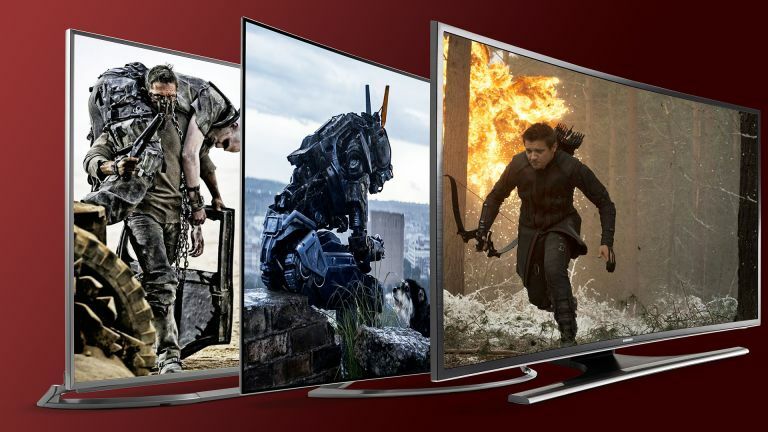 We're not entirely sure why we actually need 4K in such small screens, but hey! Just count those pixels! If wearable, contactless payments are going to take off they'll do it in 2016, with Apple Pay, Android Pay and Samsung Pay all competing to be the king or queen of cashless payments. Card giant VISA reckons (https://www.visaeurope.com/newsroom/news/a-vision-for-the-future-of-wearable-payments) that “contactless technology will become a standard feature on many wearable devices by 2020; in fact, there's no reason why the payment function on a wearable device wouldn't become as ubiquitous as the alarm function on a digital watch.” From zero to everywhere in four years? In 2016, we'll discover how likely that is and whether smartwatches will become a truly mass market phenomenon. In 2016, smartphones will develop superpowers. Processors and camera sensors will continue to improve, but the super bit will be happening on the outside and in the battery. Samsung and Sony have both unveiled technologies that they say will double the life of smartphone batteries, while Motorola appears to have created a smartphone with a truly unbreakable screen in the form of the Moto X Force. They'll probably get even thinner, too: for example, Apple has reportedly developed new displays that are even thinner than before and intends to get shot of the headphone socket to free up a few more micro-millimetres. You'll be able to get your hands on VR kit from Samsung, Sony, HTC/Valve and Oculus this year, but while the early focus is going to be on gaming many pundits predict that gaming won't be the killer app; social networking will be. That's something Facebook clearly believes, which is why it bought Oculus, and while we won't see that side of VR do big things in 2016 we may well see social VR take its first steps. Maybe Second Life was just ahead of its time. Remember Hyperloop, Elon Musk's vision of super-fast public transport? It's being built - or at least, a prototype is. Work started on the £98 million test track in California in November. It's going to be partly financed by the world's longest billboard and run entirely on renewable energy. We hope it works. Popular Mechanics was talking about the automated home of the future way back in 1939, and in late 2015 we still don't know how to programme the oven. But 2016 could well be the year that the predictions come true, with Apple's HomeKit, Google Brillo/Weave and Samsung SmartThings all delivering home automation and connection products that actually work. There's a new name to watch, too: AllJoyn, an open source home automation and connectivity platform that's being led by chip manufacturer Qualcomm and supported by Sharp, LG, Panasonic and others. Android is on the march: it made its official debut as a laptop OS in the Pixel C tablet/hybrid, and it's going to be powering a wider range of devices as 2016 continues. The ultimate aim, according to the Wall Street Journal, is to merge Android and ChromeOS into a single operating system. That won't happen until 2017 but you can expect Android and Chrome to grow ever closer this year. Fancy a computer that “taps directly into the fundamental fabric of reality”? Google's got one. Its D-Wave (http://www.dwavesys.com/quantum-computing) Quantum Computer has been in operation since 2013 and could revolutionise computing: because the technology is so powerful and works so quickly, it could crack the toughest encryption without breaking sweat. Google has just published a research paper detailing its work so far, and if the more excitable pundits are correct it could be the most important computer since the Magratheans built Earth to find the ultimate question of Life, The Universe and Everything. In 2016, most of the computing we do won't involve a keyboard: it'll use a combination of clever software and alternative forms of input and output to deliver the information or service we need, when we need it. That could be getting your smartwatch to remind you to take the cake out at a certain time, Google Now telling you you really ought to get in the car right now, barking commands at a video streaming service or just messing around with app-controlled home automation kit. According to Harvard Business Review (https://hbr.org/2015/12/8-tech-trends-to-watch-in-2016), the sheer speed of new technology development means that things are going live without enough testing to discover potential interactions with other systems and the effect of problems such as bandwidth issues. The result? Glitches, unexpected events or combinations of issues that bring down systems or mess up data. So far glitches have taken down the NASDAQ stock exchange, grounded thousands of flights and messed up people's Netflix streams. Expect lots more of them in the coming months.